Jute is one of the most importance fiber, helping in contributing towards environment. Before independence, India was having monopoly in manufacturing and exporting jute products across the world, but with the passage of time, the era jute industry underwent various losses due to the decline in sale. But now, Jute products are again in high demand throughout the world, as every one is aware with the threats of global warming. In todayâ€™s' era, the major cause of rising demands of jute products across the world is their biodegradable nature. Amongst various jute products demanded all around, Jute Mattresses have slowly acquired a vast client base. Jute Mattresses are weaved using oriental fibers sisal, mountain grass and seagrass for creating a pleasing feel in a place. 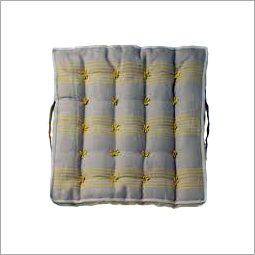 The jute mattresses made up of jute are highly demanded in the market as compared to the mattresses of synthetic material. Jute is an eco-friendly fiber, which gets properly mixed with wool, linen & many other fibers and come up with more attractive looking variations. Jute made mattresses are weaved by a team of skilled craftsman using latest weaving tools along with applying creativity. 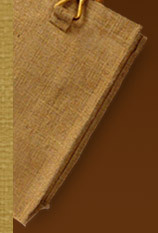 One can see mattresses of jute in variegated types of flat weaves including pile, loop and flat weaves. But, generally jute mattresses are identified by their flat weaves. Due to their aesthetic looks, easy cleaning & maintenance and presence of soft silky luster; jute made mattresses are considered suitable to be used in drawing room, balconies, offices and hotels. Manufacturers of jute mattresses keep on testing with the waters for bringing their products in a variety of designs, textures, sizes and blends. The availability of jute mattresses in a wide variety has also increased their demand in domestic and international markets. Modern as well as ethnic touch of jute mats make them widely demanded to be used in various hotels, resorts and homes.